In-ring deaths do happen, albeit infrequently. However, one wrestler credited with killing two opponents in the ring is Ox Baker, an imposing man whose finisher the heart punch, earned him notoriety throughout his career. Given Baker’s size and appearance, he didn’t need it, but that didn’t stop promoters from billing him as a man with a lethal finisher. Baker terrorized the territories and even inspired fans to riot. He proved to be multi-talented, working not only as a wrestler, but an actor, trainer, and cook. Ox locks up an unfortunate opponent. Douglas A. Baker was born on April 19, 1934 in Missouri, but grew up in Waterloo, Iowa. Baker excelled at high school athletics but was kicked out of school for reasons unknown. After two years’ service in the military, he trained under wrestling legend Pat O’Connor (amongst others) before debuting in 1962. At 6-foot-5, 340 pounds, he stood out, even among other big men in the industry. But it wasn’t until Baker changed his gimmick from a glasses-wearing dimwit into an imposing monster that he found success. 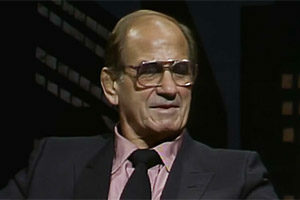 Baker would state in an interview with Slam “I was only a fair wrestler, but I was a great talker!” Whatever the case, he got over and found success in the squared circle. Ox Baker began using the finisher known as the heart punch, a move he patterned on Stan “The Man” Stasiak’s heart punch (Baker would rename the move ‘The Hurt Punch’ after Stasiak objected to Baker using the finisher). 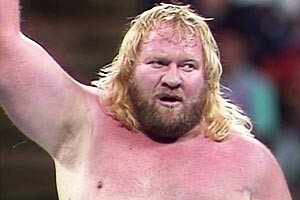 Baker’s size made the heart punch seem like even more of a devastating move, but what set him apart was the legend that developed after he killed not one, but two opponents with it. Baker reportedly killed wrestler Alberto Torres during a tag team match in 1971 and wrestler Ray Gunkel in 1972. In Torres’ case, he had a pre-existing condition – a ruptured pancreas while Gunkel had reportedly eaten a heavy meal before wrestling and had arteriosclerosis. Both men were proverbial ticking time bombs and Baker’s move played no more than a coincidental role in their deaths. 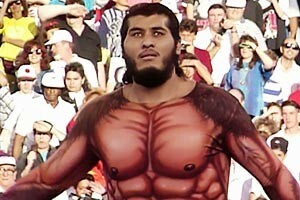 In fact, promoters shamelessly credited Baker’s tag team partner the Claw with killing Torres initially. Only later would vulgar promoters build up Baker as the man who killed two opponents with his heart punch. Whatever the truth, the notoriety surrounding the heart punch only added to Baker’s mystique. 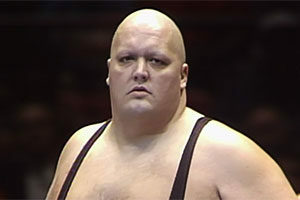 The big man would find success in a variety of territories including Championship Wrestling from Florida, Jim Crockett Promotions, NWA Hollywood, and Southeastern Championship Wrestling. 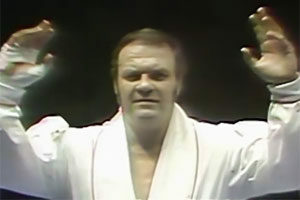 Baker worked outside of the U.S. including Calgary Stampede Wrestling, Puerto Rico’s World Wrestling Council, NWA New Zealand, and Australia’s famous World Championship Wrestling promotion (not to be confused with Ted Turner’s World Championship Wrestling). Wherever he worked, he found himself winning championship gold. Ox Baker knew how to work a crowd, as seen in 1974 when he interfered in a match between Johnny Powers and Ernie Ladd in Cleveland. Baker attacked Ladd, laying out “The Big Cat.” Wrestling fans rushed the ring, hoping to help Ladd out against Powers and Baker, with some reports indicating two fans had knives. Ultimately, Powers and Baker escaped, but such was the havoc Ox Baker could inflict not only in the ring, but out of it. He also appeared in Jackie Chan’s Battle Creek Brawl and 1987’s Blood Circus. Baker’s ring exploits were also shown in the documentaries I Like to Hurt People and Card Subject to Change. 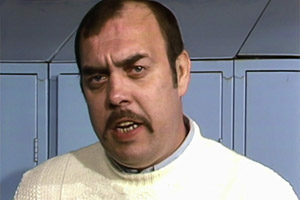 Baker even appeared on The Price is Right in 1981. The big man self-published his own cookbook, a collection of recipes and anecdotes from his many years as a wrestler. 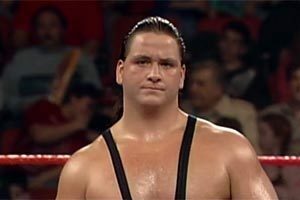 Baker opened his own wrestling school and trained a number of future stars including the Undertaker. Ox Baker endured the complications of aging, continuing to appear at wrestling shows and conventions, even if he had to use a wheelchair. On October 20, 2014, Ox Baker died in Hartford, Connecticut at the age of 80. 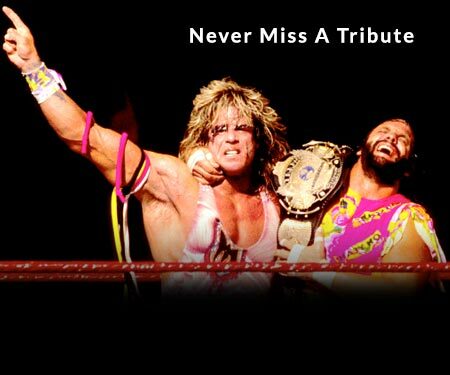 Ironically, the man known for his “lethal” finisher the heart punch, died from complications of a heart attack. Baker was survived by his wife Peggy Ann Baker. He is buried at Holy Cross Cemetery in Hartford, Connecticut. 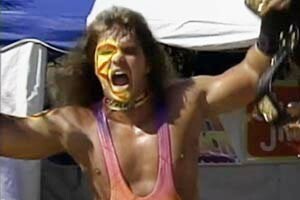 Other notable wrestlers to pass in 2014 include the Ultimate Warrior, Mae Young, and Big Daddy V.